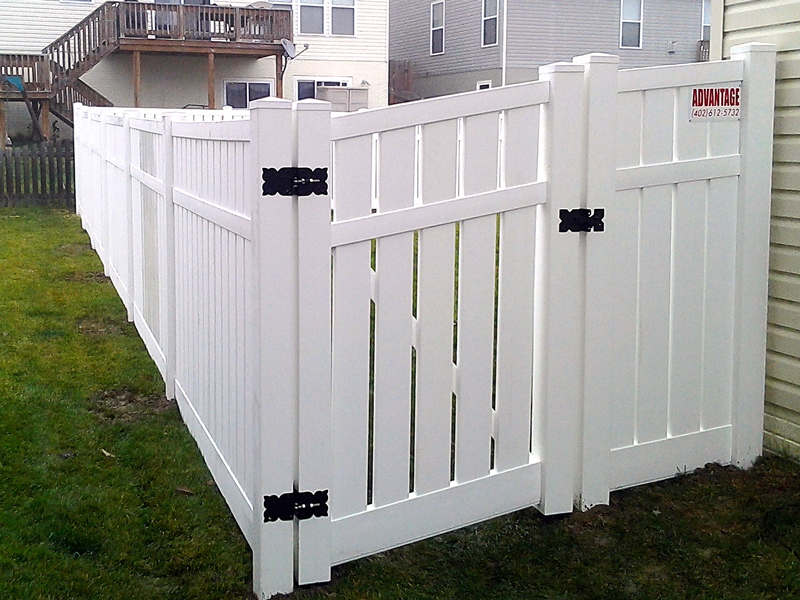 Superior Quality Vinyl and PVC Fencing at competitive prices. 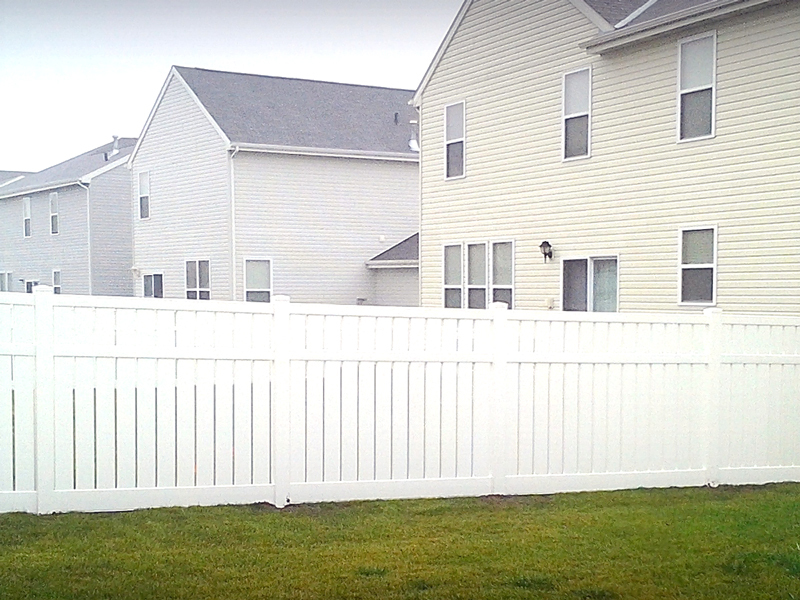 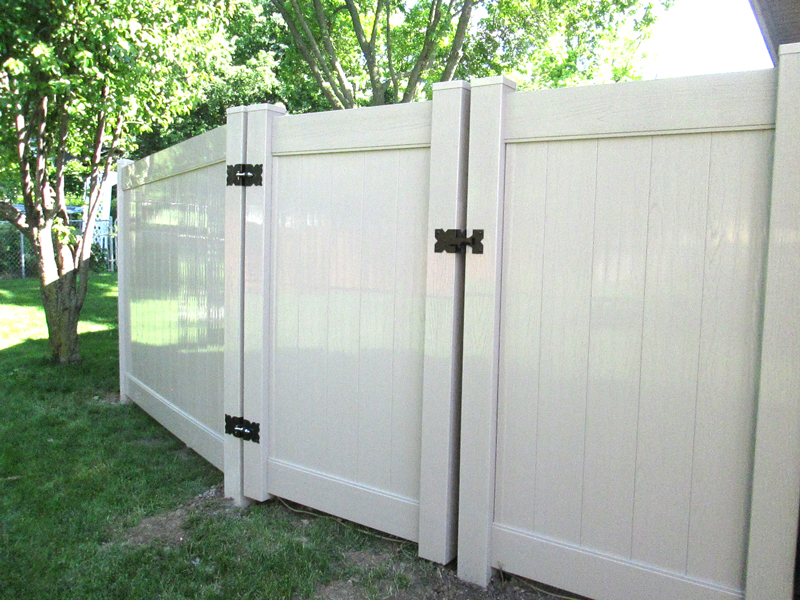 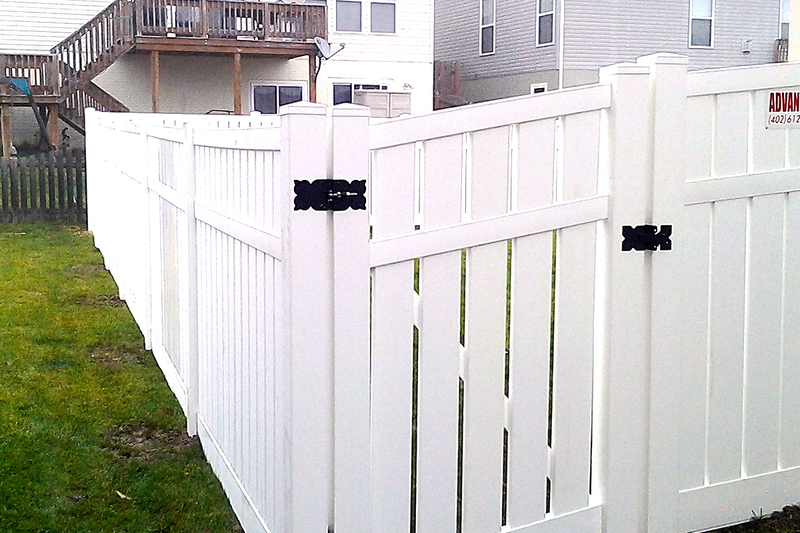 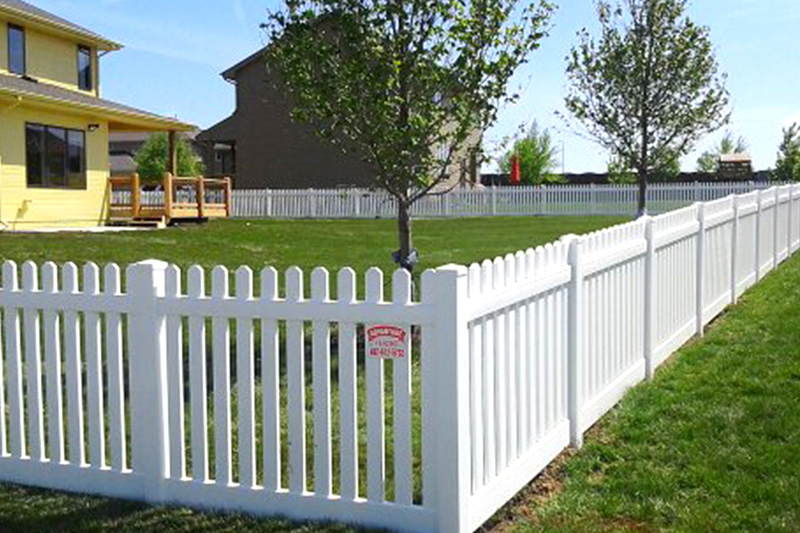 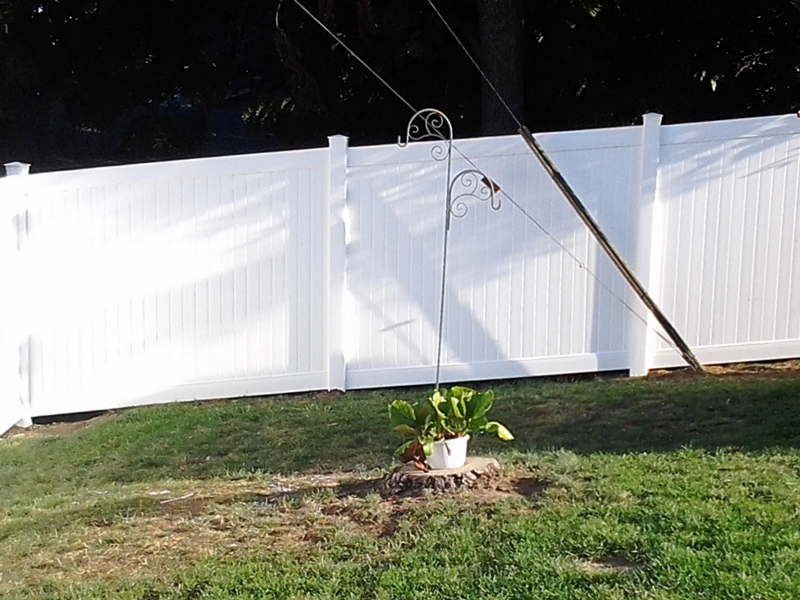 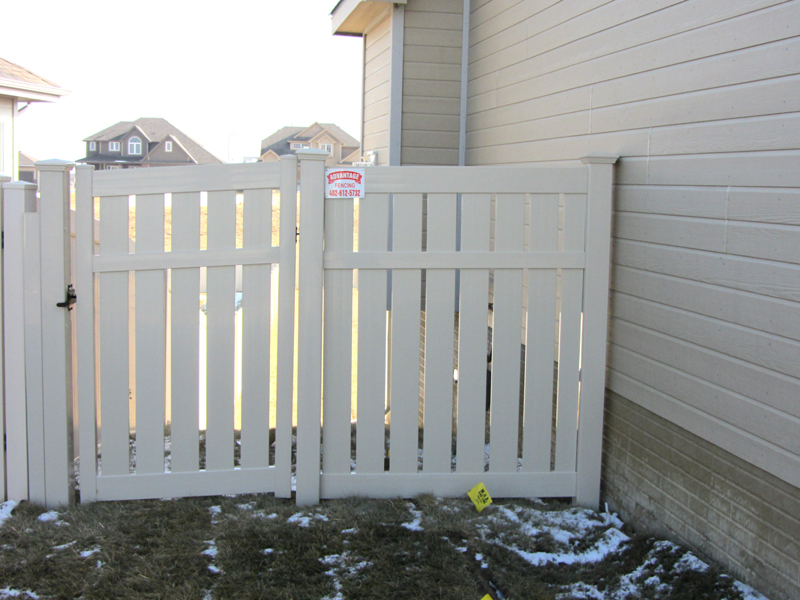 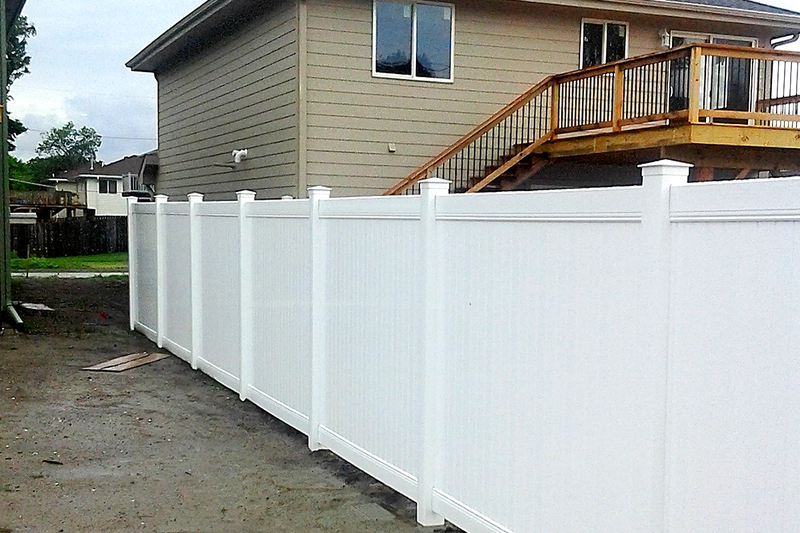 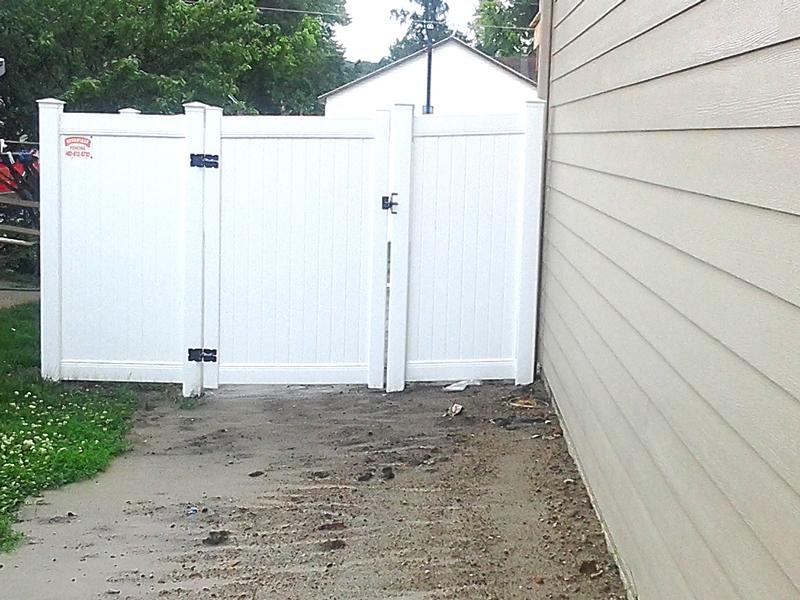 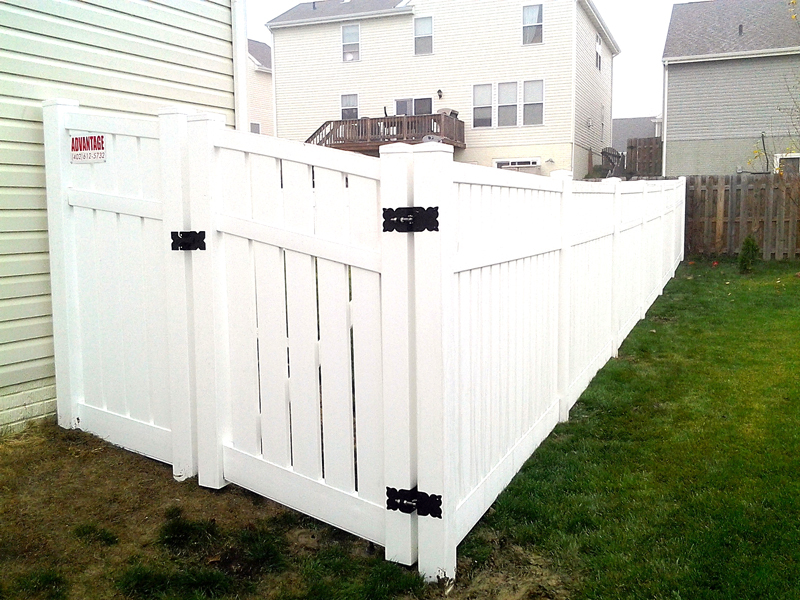 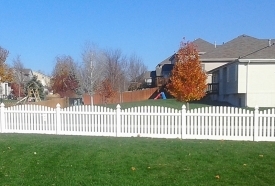 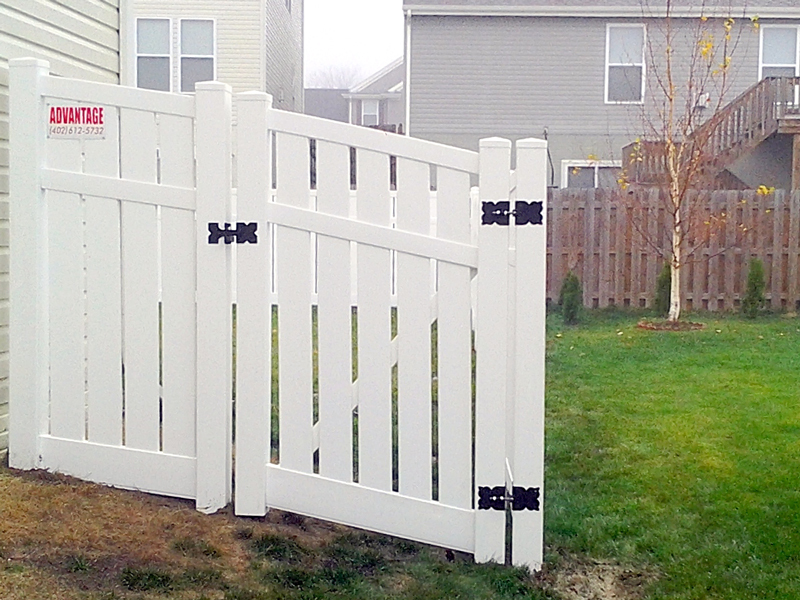 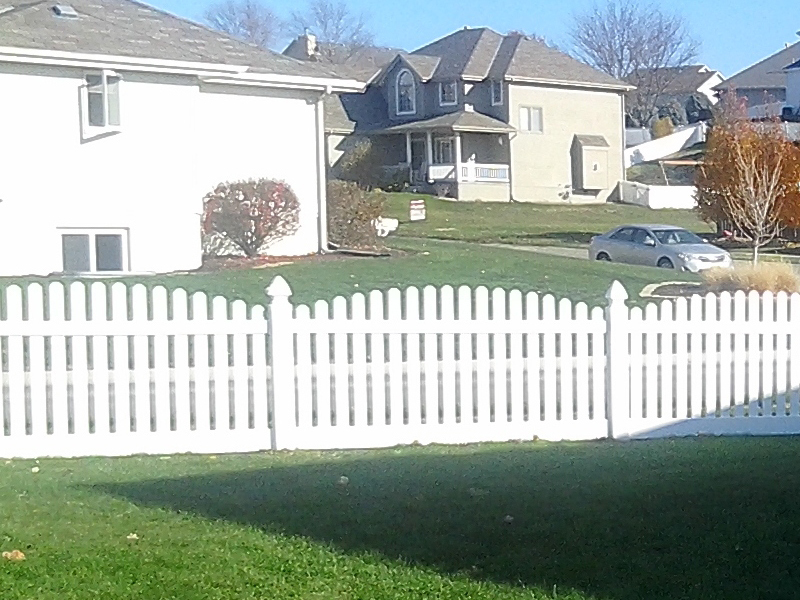 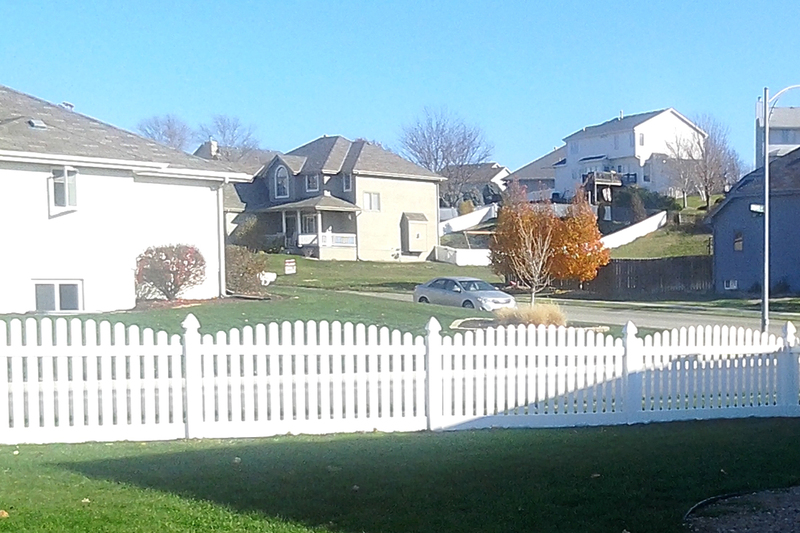 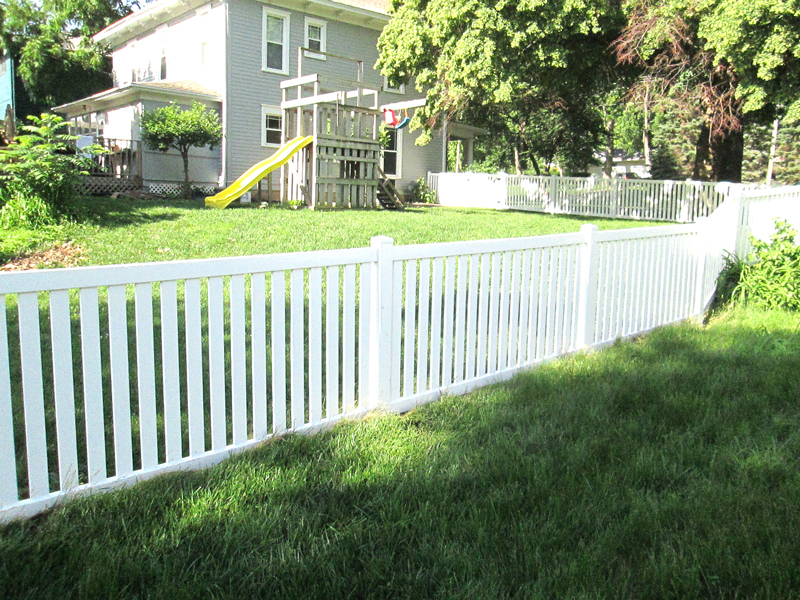 Vinyl/PVC fences provide more durability and minimal upkeep compared to traditional wood fences. 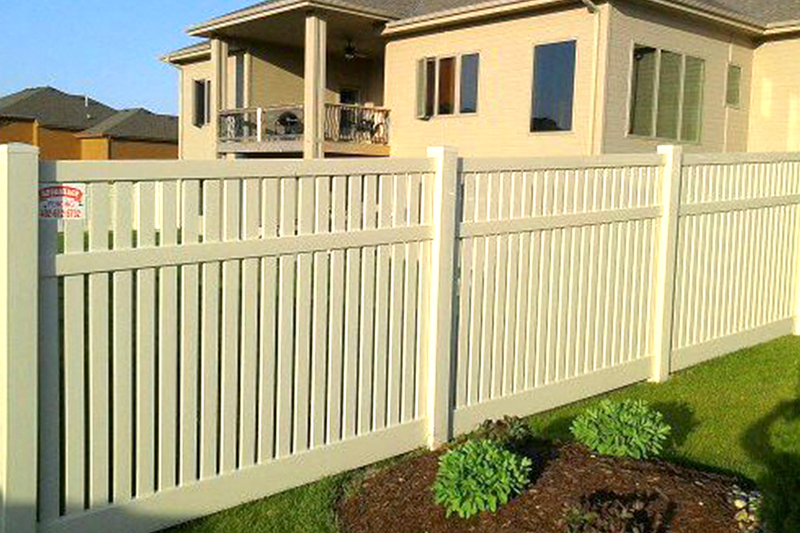 Vinyl material is an exceptional product that never needs painting, staining or sanding. 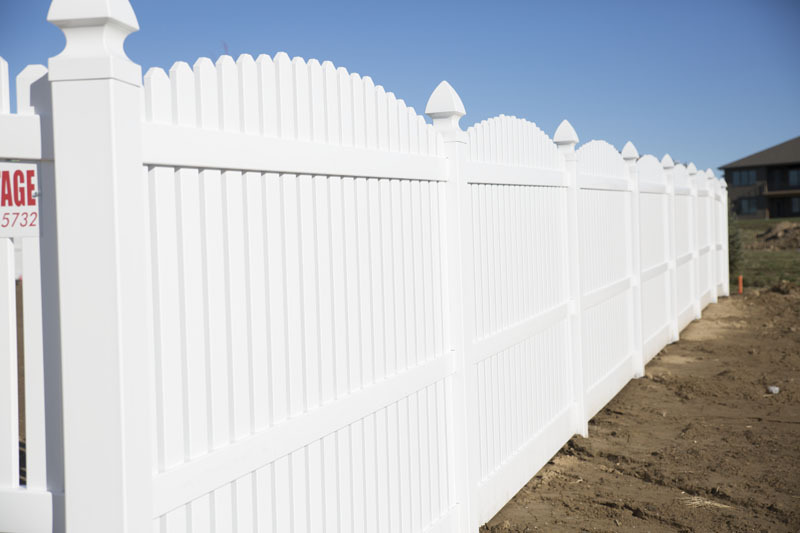 Immediately improve your property’s appeal, while protecting your investment for many years to come! 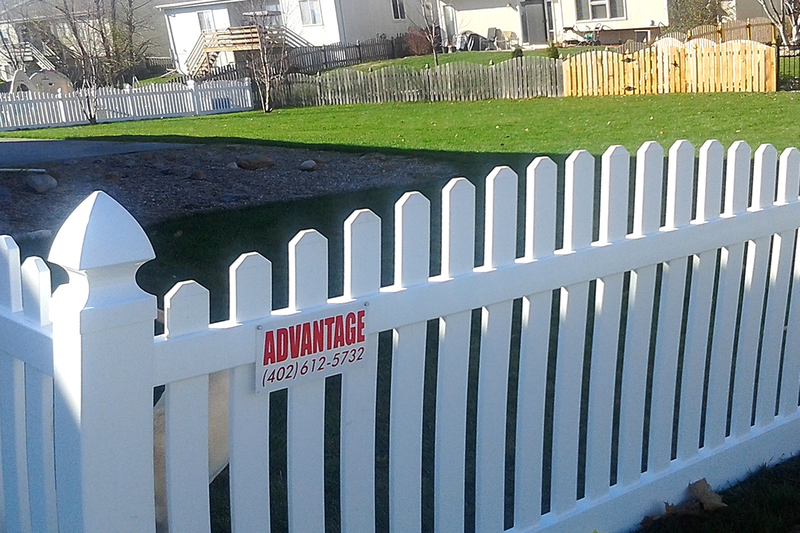 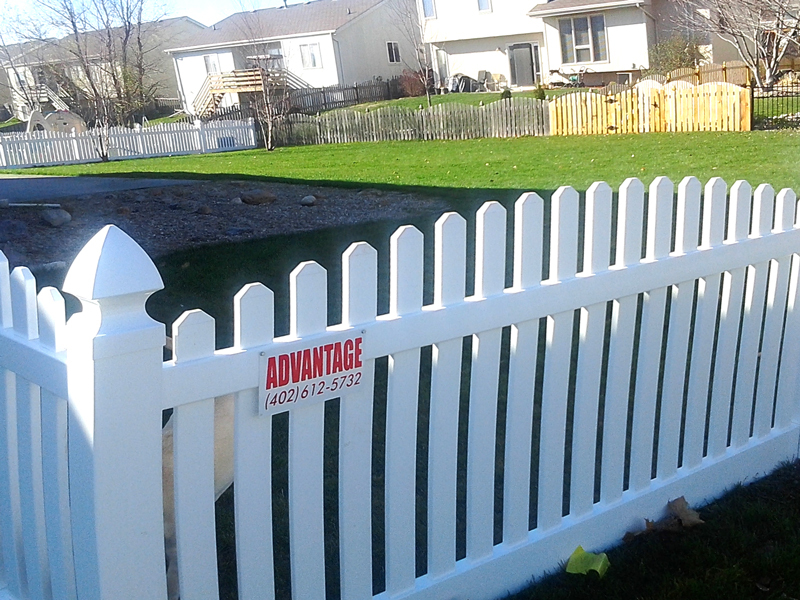 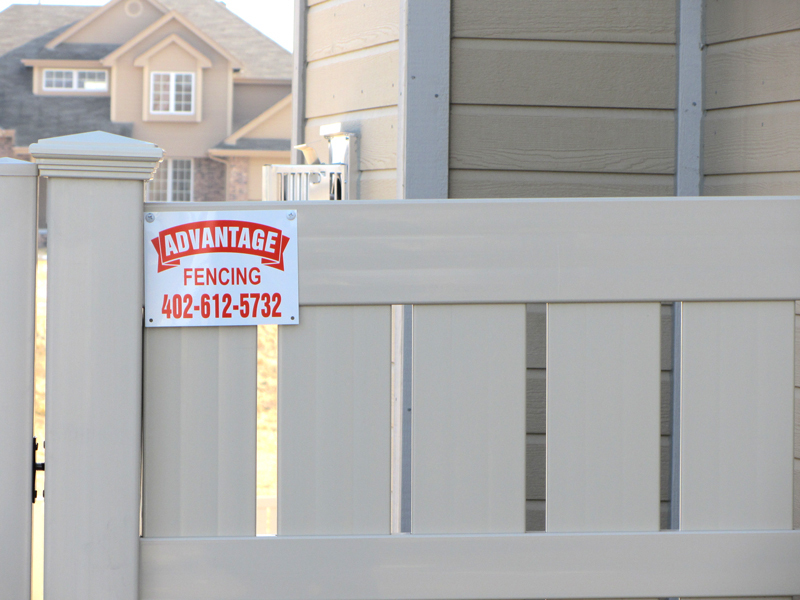 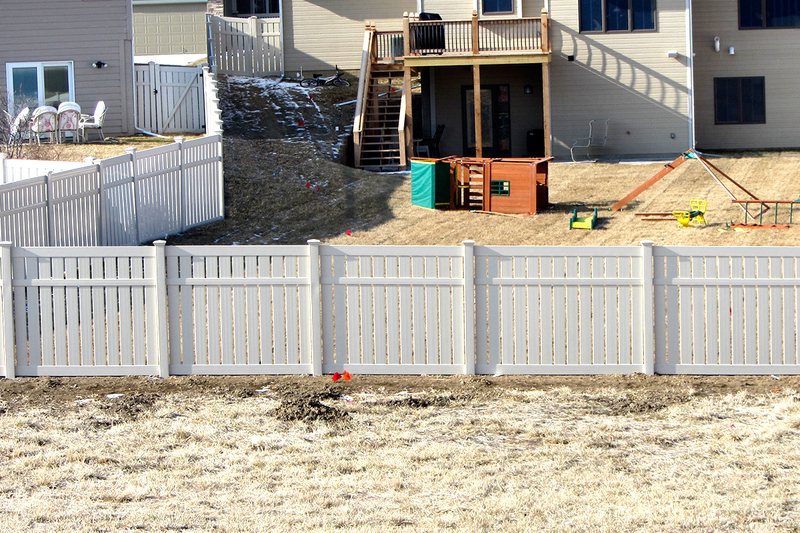 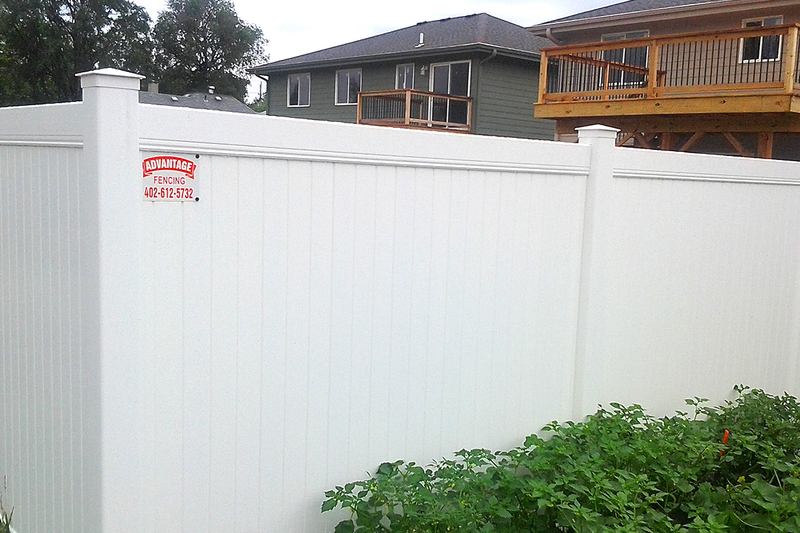 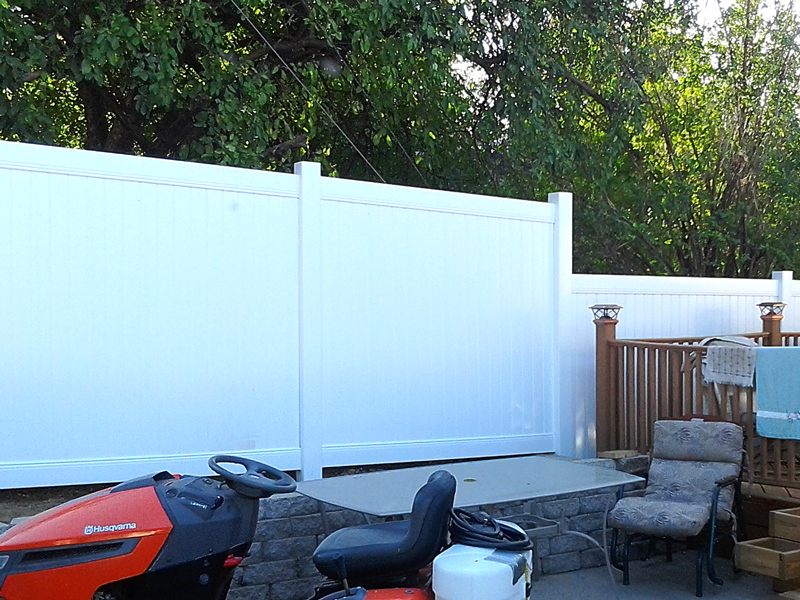 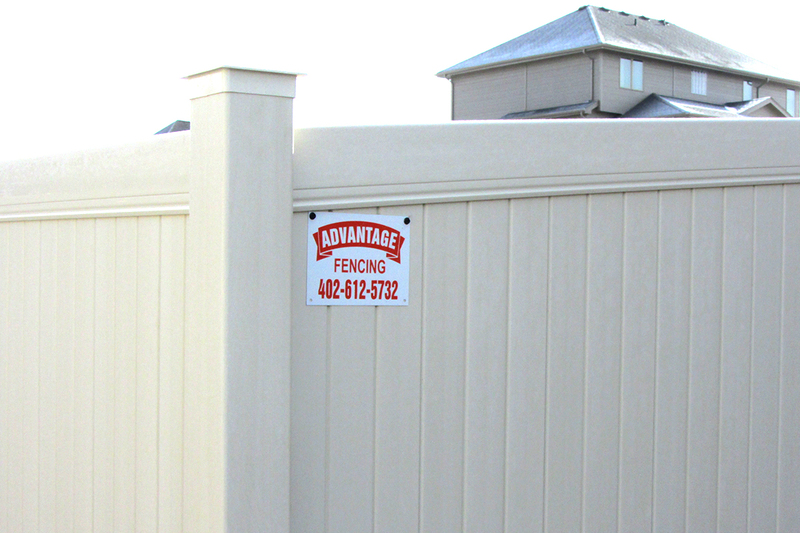 Advantage Fencing offers a premium vinyl fencing material superior to most found on the market. 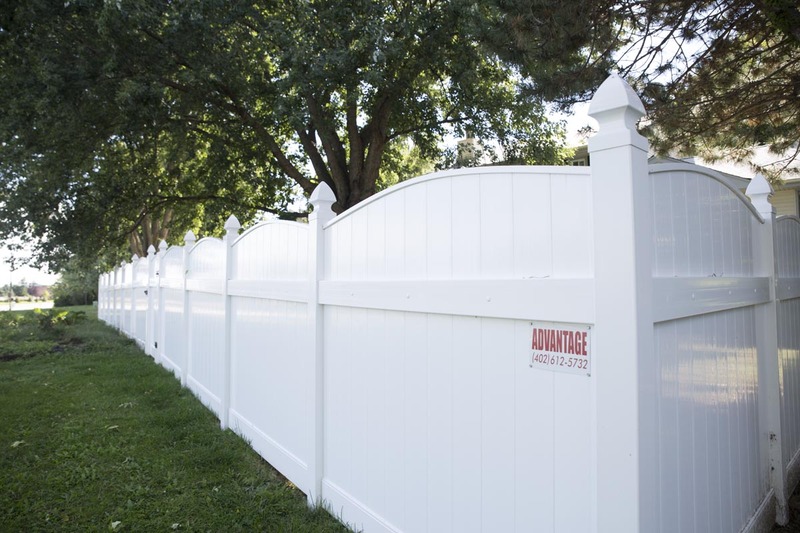 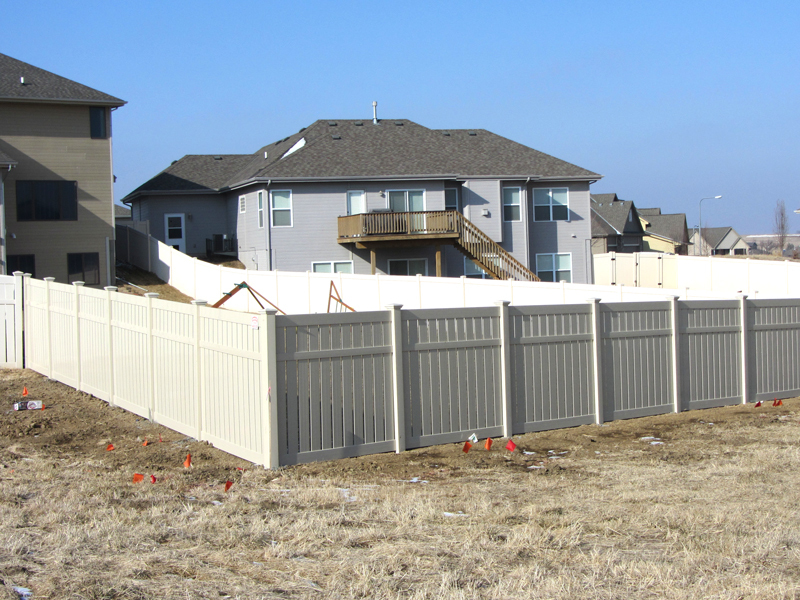 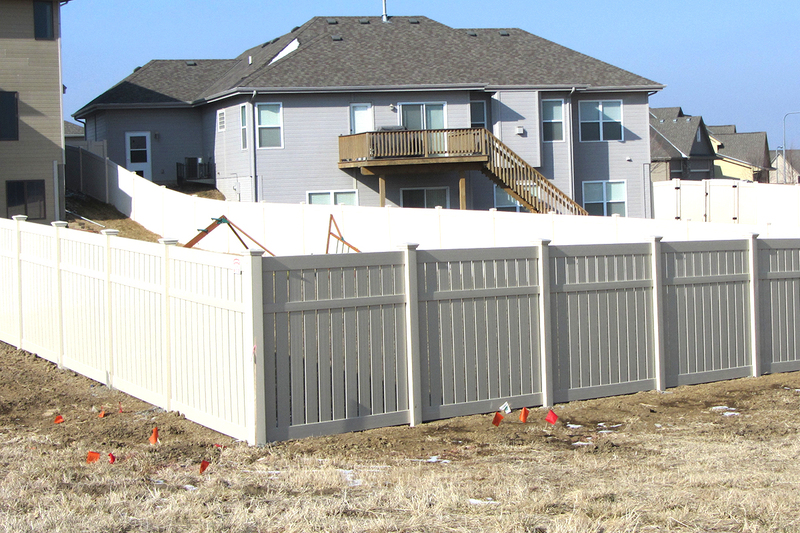 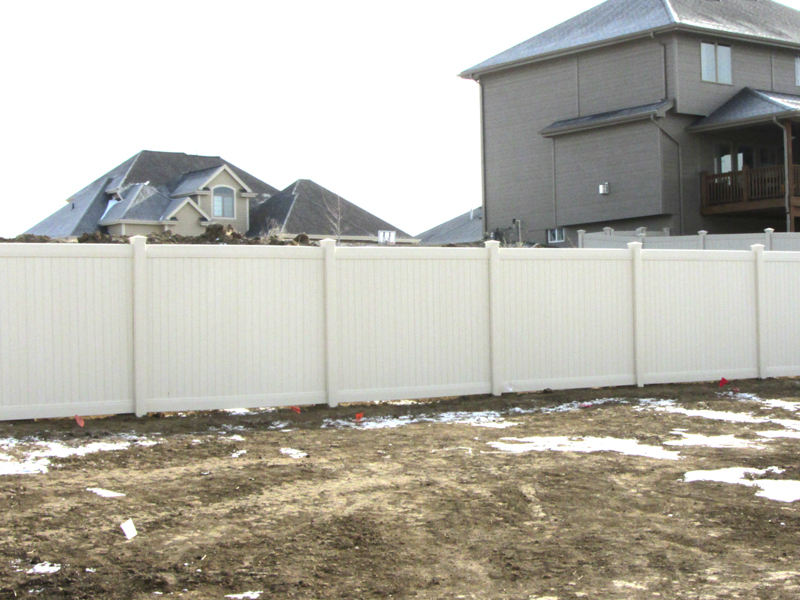 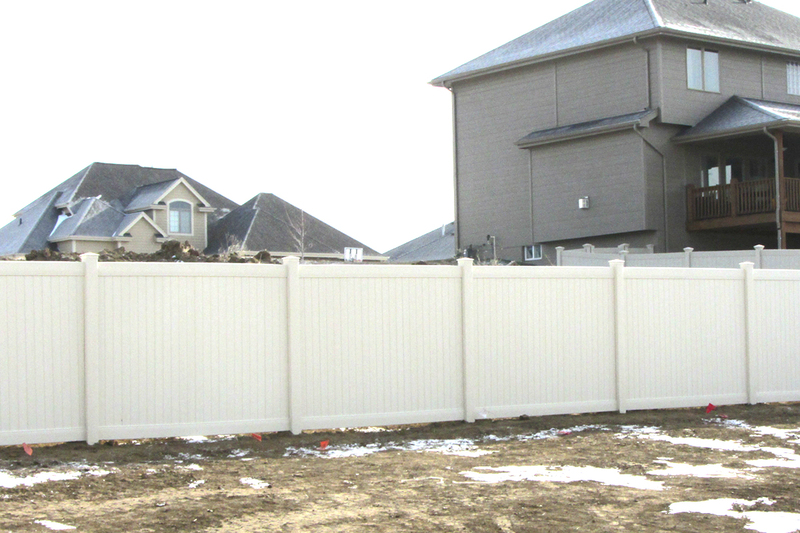 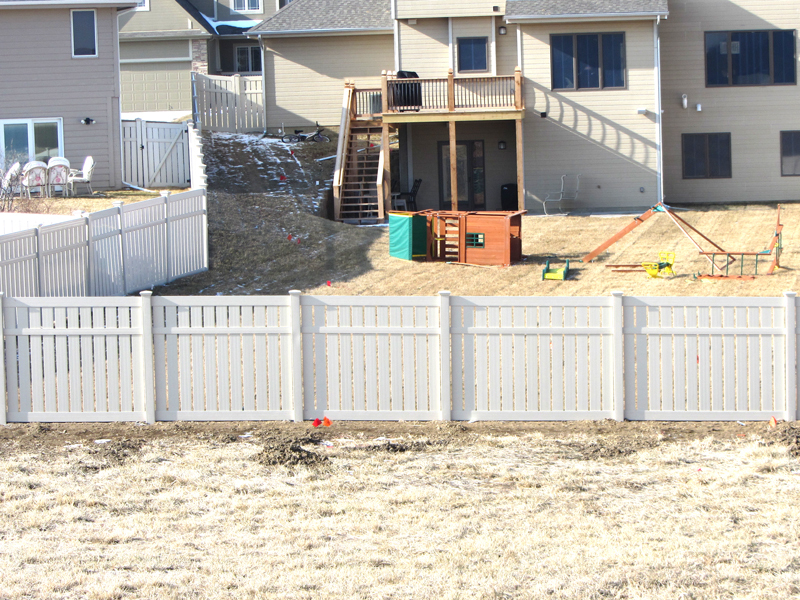 The quality of the vinyl material itself, as well as the thickness used in its construction protect your fence against sun damage and the variety of seasonal weather we experience in Nebraska. 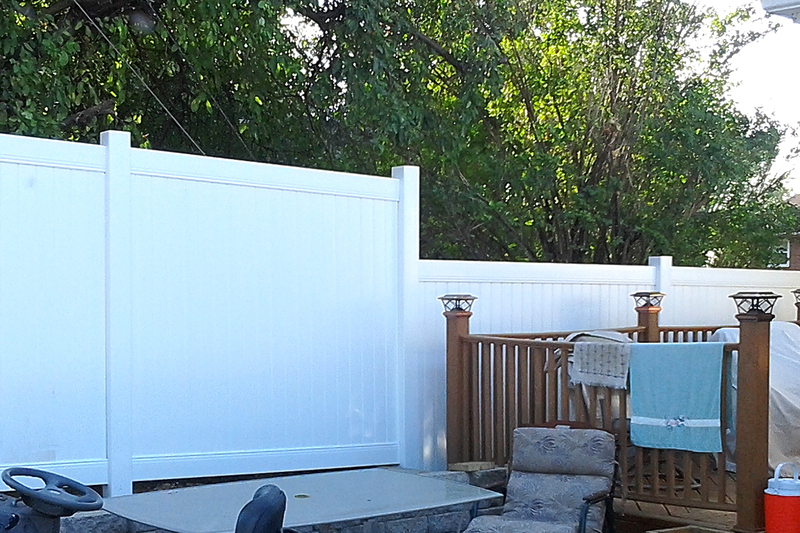 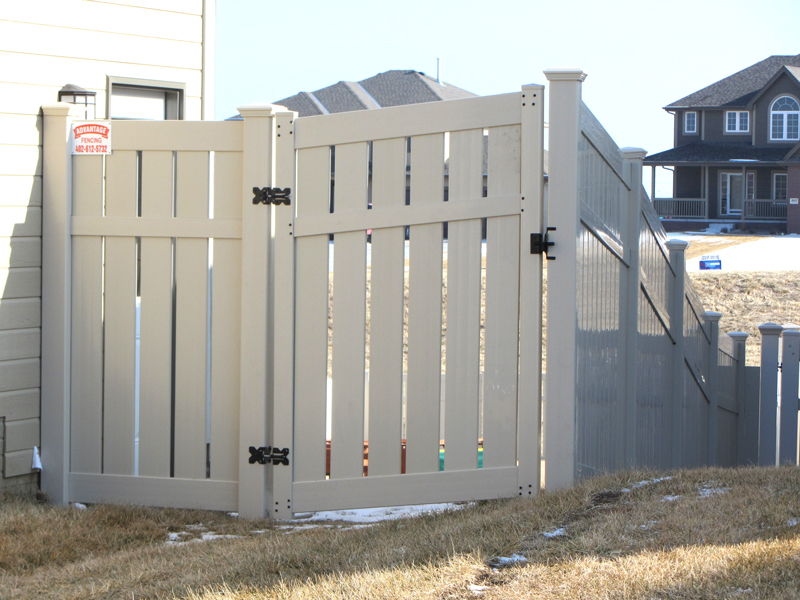 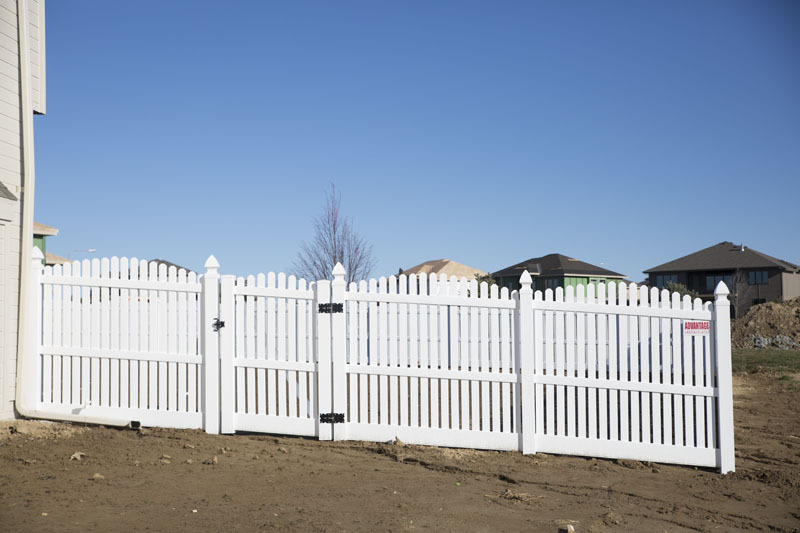 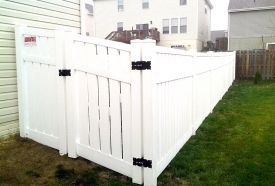 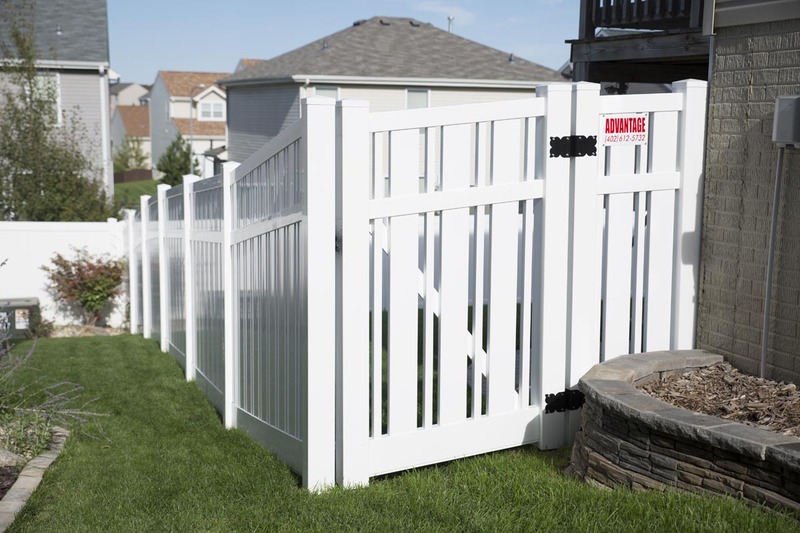 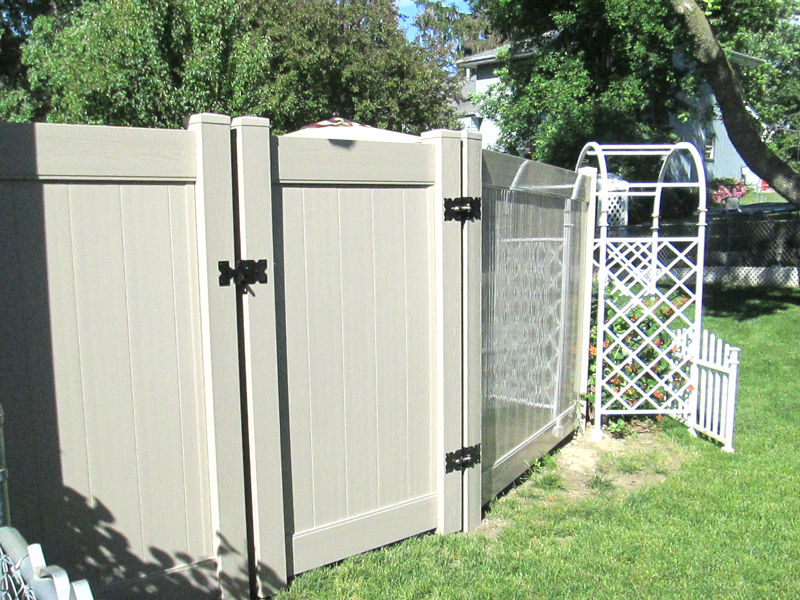 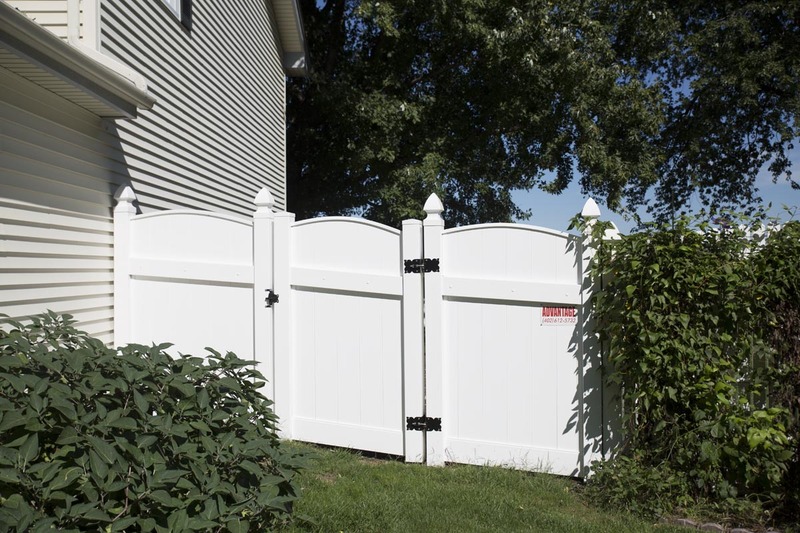 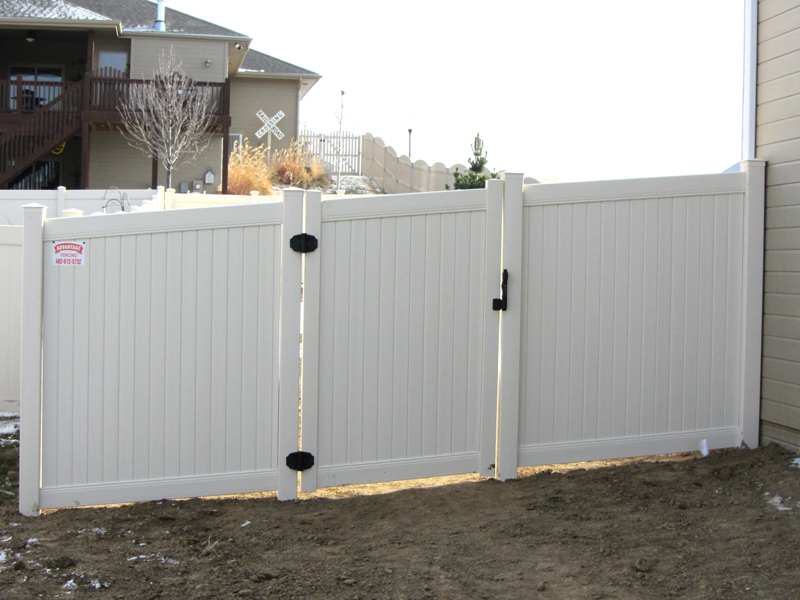 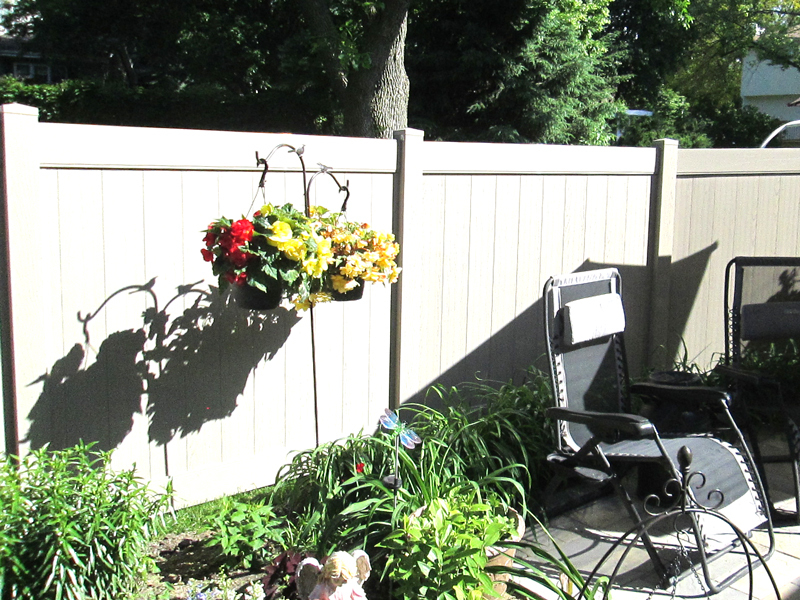 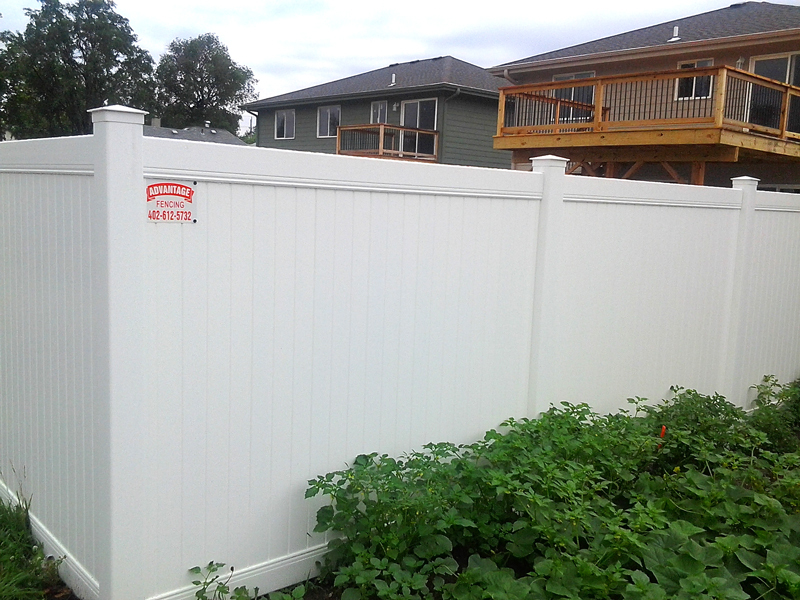 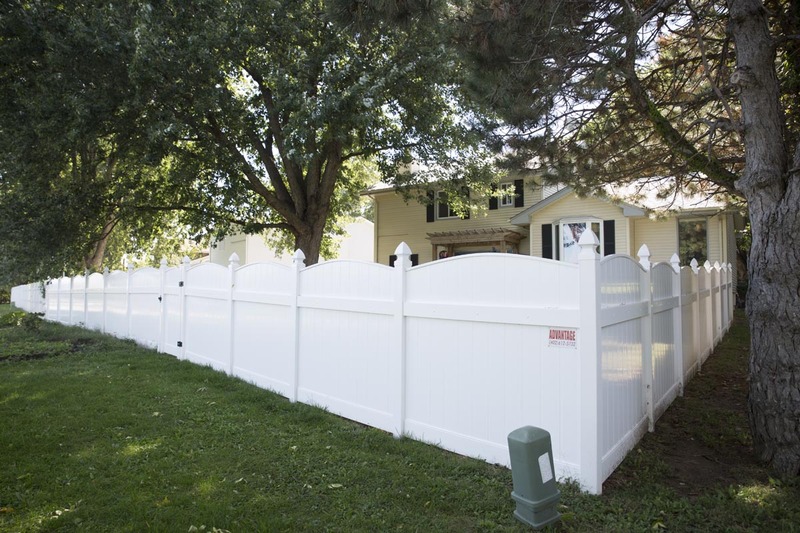 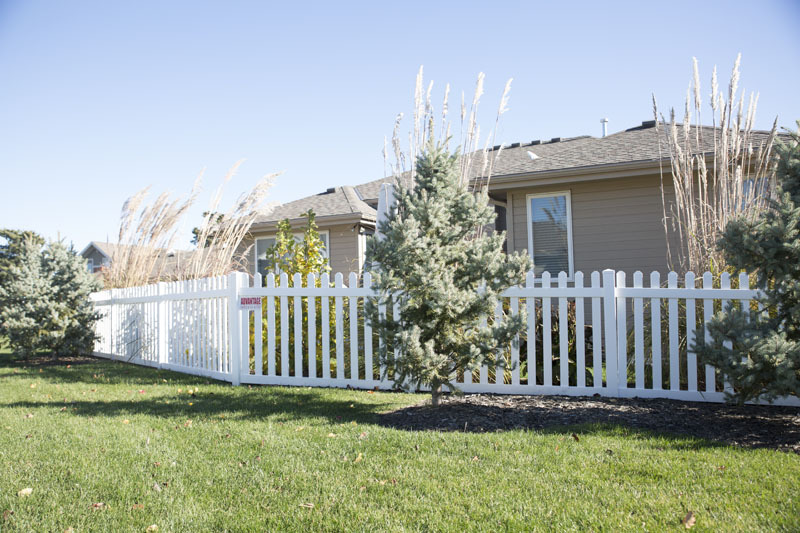 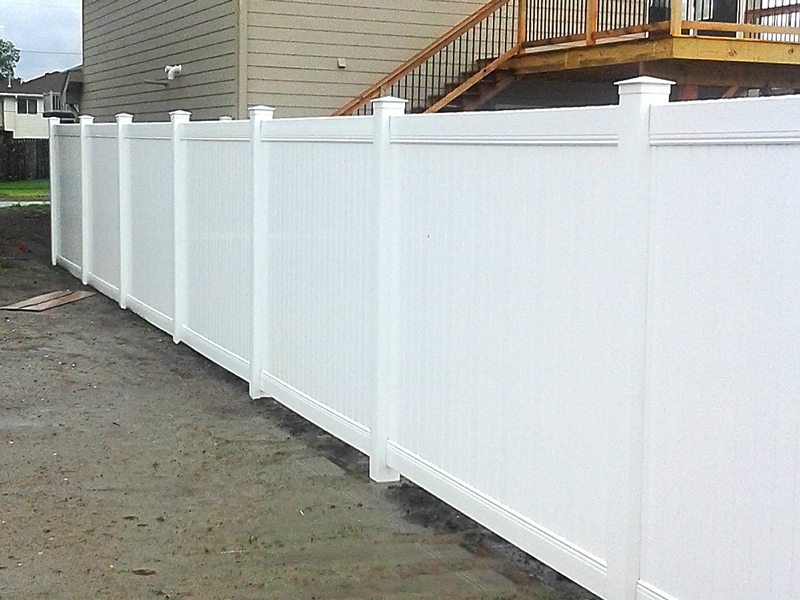 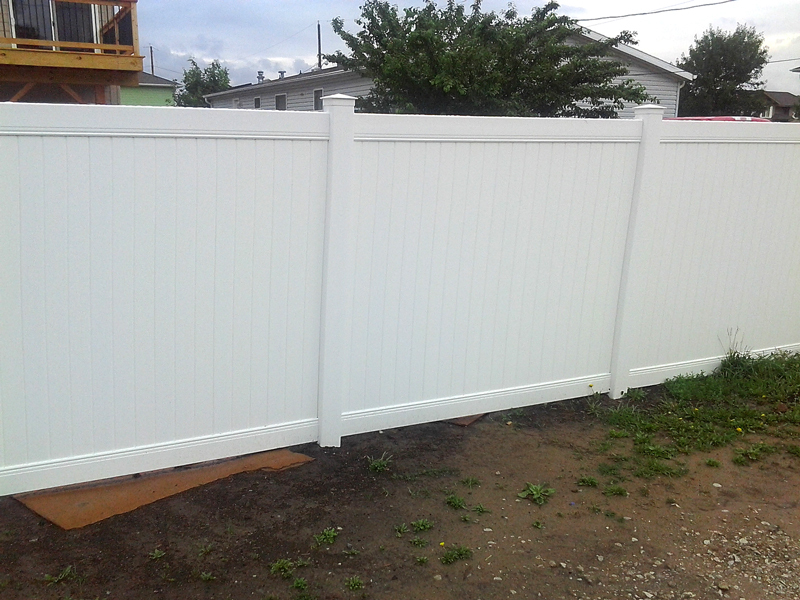 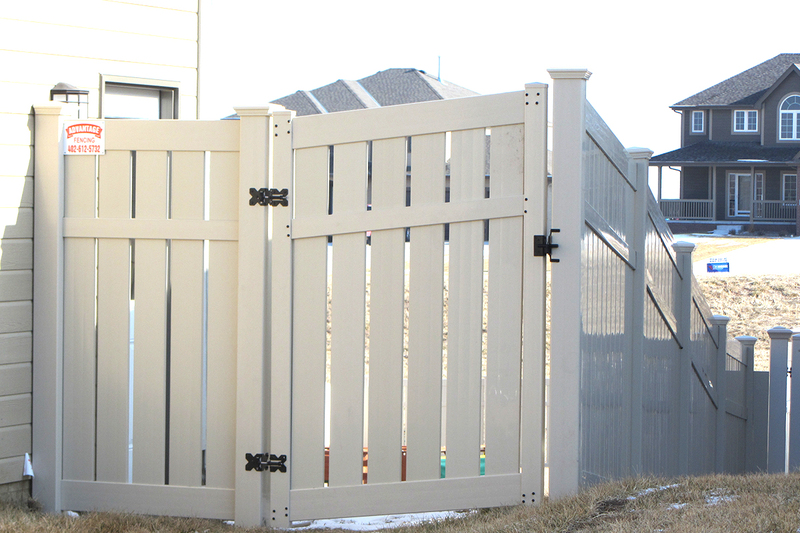 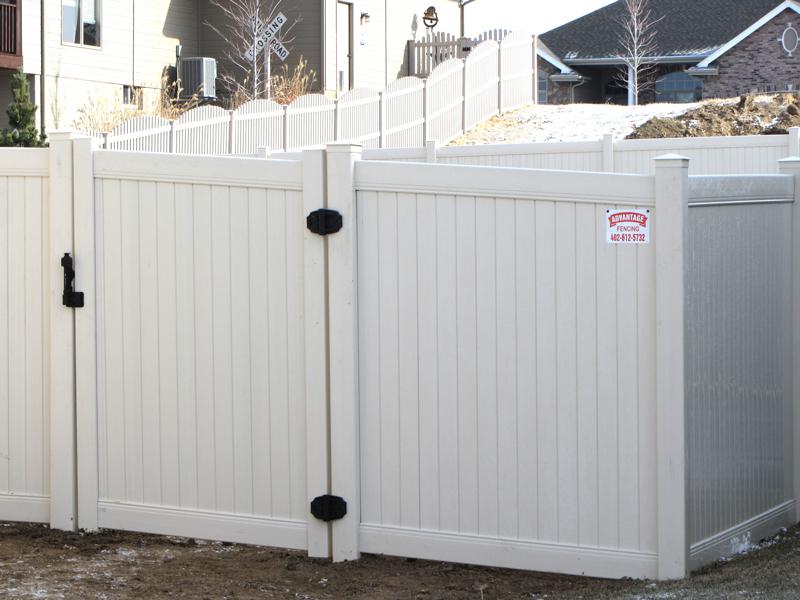 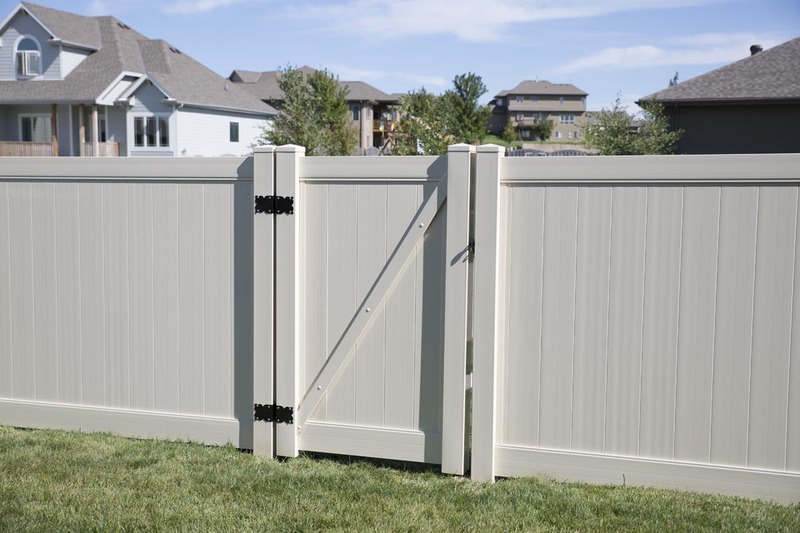 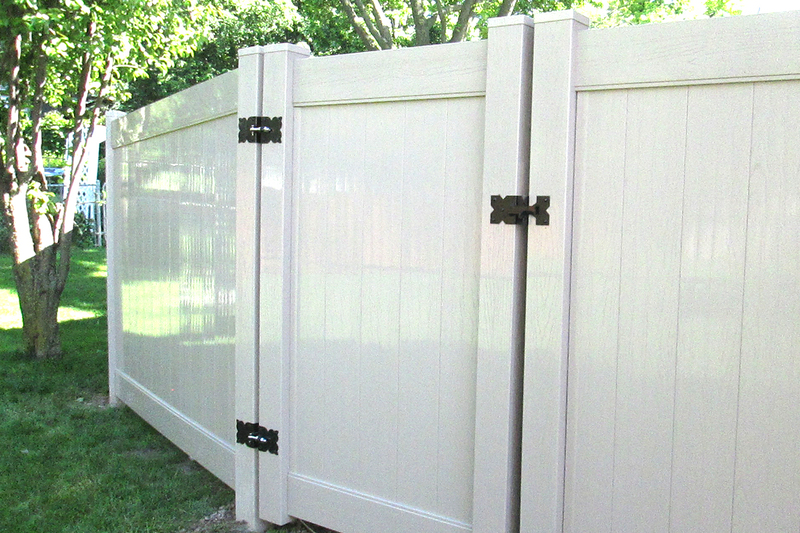 Available in white or almond colors, vinyl fences can also be customized to resemble some wood designs and can be installed in privacy, semi-privacy and picket configurations. 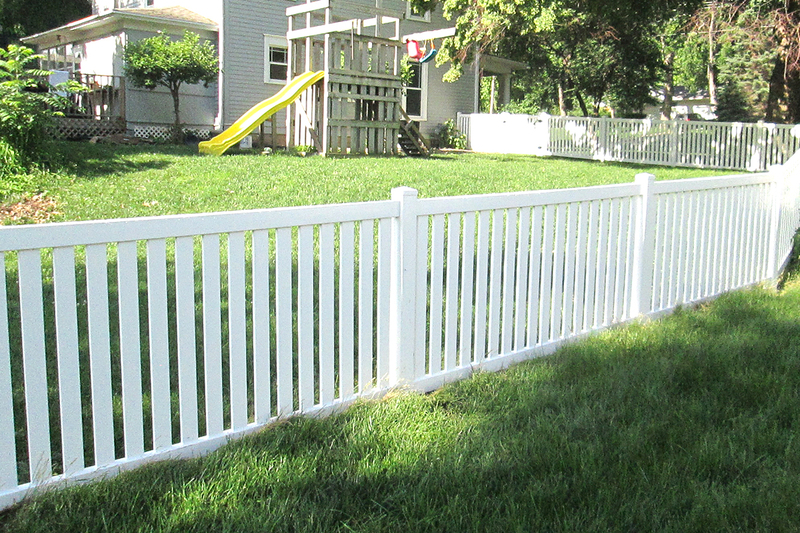 For more information, please visit our vinyl manufacturer’s website at Country Estate. 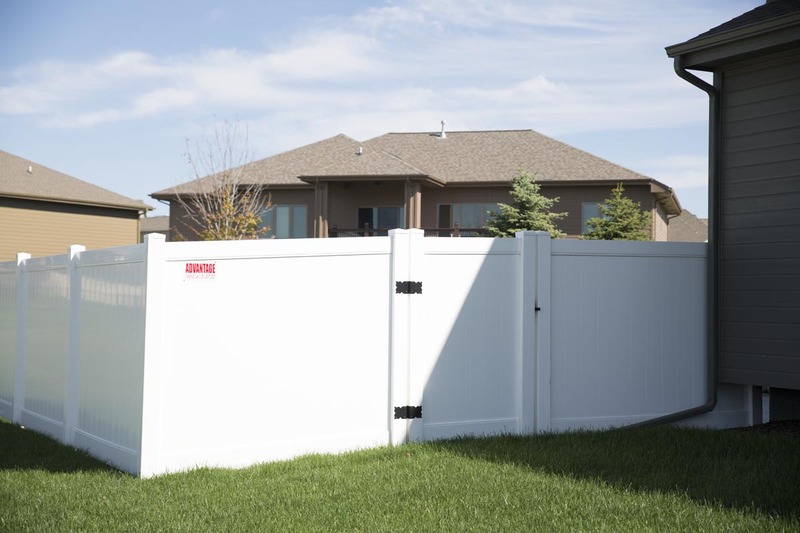 Gain the total privacy you desire without the traditional maintenance. 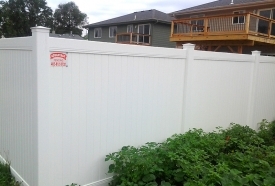 Vinyl fencing is deterrent to deterioration from moisture, temperature extremes, ultraviolet exposure, and time itself. 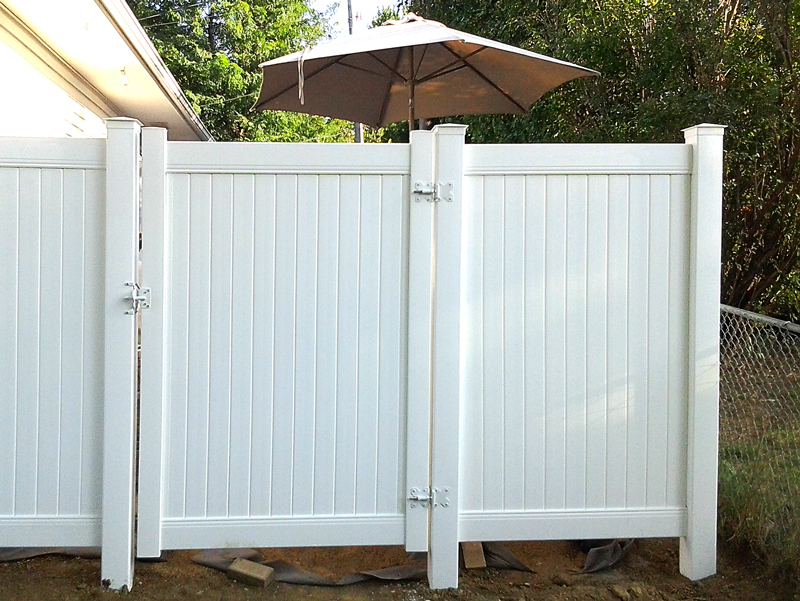 Semi-privacy fencing offers a perfect blend of openness and seclusion. 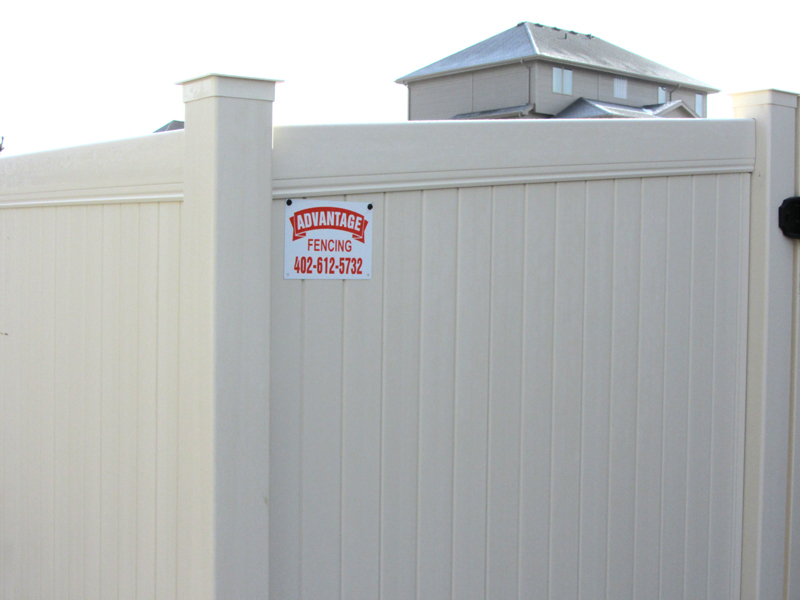 Plus, the vinyl material is impervious to moisture and freezing temperatures, and won’t peel, blister, or rot. 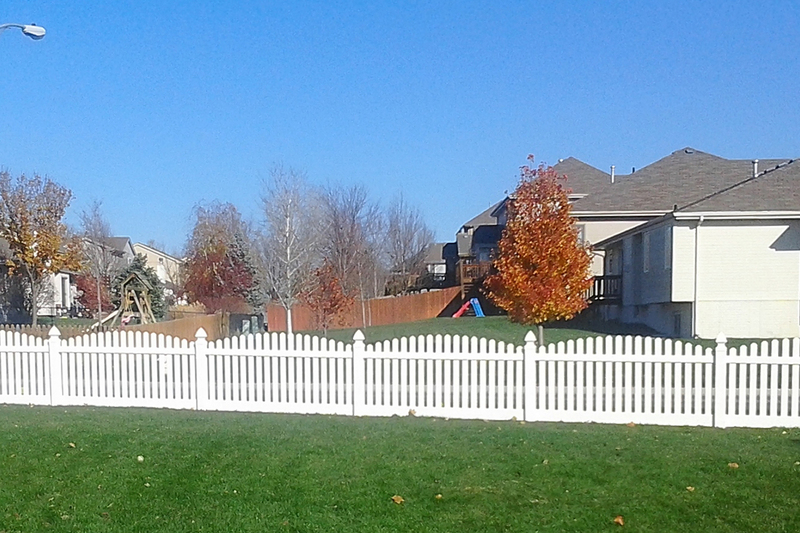 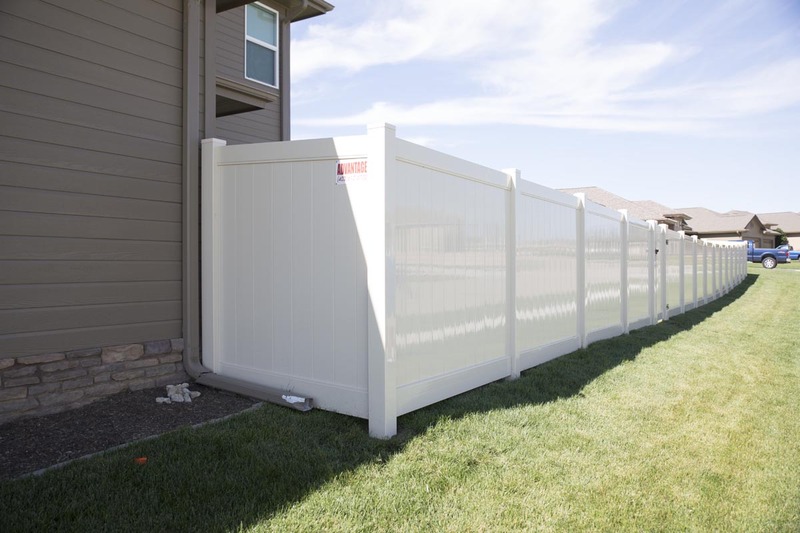 Whether its role is to keep children and pets in the yard, provide a protective barrier around your yard, or simply accent the beauty of your home, maintenance-free vinyl fencing does the job without blocking the view or the breeze.